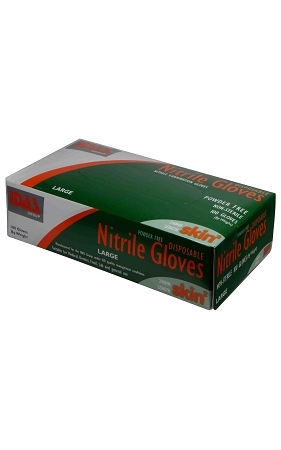 Nitrile gloves are the preferred glove for most applications. They are stronger than Latex and have better chemical properties. Nitrile is a synthetic material, not a natural rubber like Latex. Therefore you are not exposed to allergies that some people get from exposure to Latex. What you do miss is that close tactile feel you get from a Latex glove.